We all have tried various free trial products such as subscriptions to music, games, book clubs, the list could go on and on. If your free trial is about up and you would still like to keep it without making a permanent purchase option just yet, all you need to do is go under your computer settings that manage the time and date and push the date back for however long you would like to extend your free trial. Granted, with some subscriptions you gain more perks once you subscribe and the trial they offer is just a sample of the overall service but if your undecided or run out of time before you get to check out the service this is an easy way to give you more time. I have over 250 free software programs on my computer. With the exception of one, all were free. I got them for two reasons. They are free, and if chosen wisely, they are as good and often better than the programs that cost. Having an incorrect date on your computer can cause problems. You might have problems getting necessary updates. A lot of Google Talk members could not sign in with an incorrect date on their computers. I know for sure that viruses often alter the date on computers. For that reason, some antivirus will block you from visiting any website when they discover that your computer date is much different from theirs. The antivirus thinks you have been infected. I'm all for being frugal, but please remember that being frugal at the expense of others is unfair. These businesses give you a trial for you to see if you like their product. If you do, the right thing to do is to buy it. Thank you for stating what I wanted to say in a nice manner. This is actually a form of theft. I stand by time-honored values and the Ten Commandments. Over time I have seen values deteriorate and its not a good reflection on our society. Warm regards to everyone. I like this idea and almost voted for it, but I guess I won;t. God Bless America. Some online services require you to set your clock correctly if you want to log in to your account. Whenever your computer creates a new file or modifies an existing one, it stamps the file with the current date and time. This information allows the computer to organize files chronologically. An incorrect clock renders these dates unreliable, making it harder to find files when you need them. Inaccurate dates can also cause problems with your computer's security software. When you visit an online retailer, your browser program checks the site's security certificate file. The file contains a date code used to verify the site's legitimacy, but an error in the clock may flag the certificate as expired or not yet valid. Other programs affected by bad dates include anti-virus software such as Microsoft Security Essentials. The software may crash if the clock has an incorrect setting. Backup utilities such as the Windows System Restore function rely on the computer's date and time. System Restore creates a restore point associated with a certain date and time. Then, if you need to return your computer to that point, you will be able to access that point based on its date and time. If anything ever goes wrong, like you get a virus or your computer crashes, you have to be able to restore your system to an earlier system restore point. There are even more reasons than this. Suffice it to say that your computer uses the date and time constantly for a variety of functions. It isn't just there so you'll know what time it is. I tried to go to www.picknic.com, but there a notice that this domain name is for sale. Harlean, I don't see a mention of this domain name on the page. Can you tell me where you are seeing it? Thanks! I saw it too, under "saving money on software." It seems to have been removed. I found the link and removed it because it is no longer active. Tips for saving money on computer software as suggested by the ThriftyFun community? Google has a whole suite of software FREE with getting a Google account, including Star Office, a good equivalent of Word. Use trial applications if you won't be using the application often, or if it's a one-shot deal. Find free WAV/MP3 converters on the net. Use jumpcut.com for editing short video clips. Look for lesser-known equivalents of more expensive software (sometimes European) on bargain software sites. Open Source, baby! Instead of Microsoft Office, try OpenOffice for a word processor and a spreadsheet app whose files are fully compatible with Microsoft applications. For photo editing, I have Irfanview and think it's the tops. Clean interface, fully-featured, and easy to use. Instead of expensive antivirus software, get AVG Free. For Spyware protection, Ad-Aware and SpyBot. I also second the nomination of Google Docs, which I use and like. It is Web-based, though, and so not the best choice if your Internet access is limited, metered, or just really slow. It's really not necessary to spend a lot of money on software. With a few exceptions, there's almost always a free alternative that works just as well. But be a good citizen. If you have a couple of bucks lying around, you can and should make a donation to the creator of any free software you regularly use. Log onto http://www.pcmagazine.com. It not only has lots of free software you can download, but it also has ratings and comparisons on the various programs - both free and for sale. It tells you the best and the worst and is well worth checking out. There are a lot of places on the internet where you can download codes and software but you shouldn't do it. It is illegal and traceable through the internet, if they really wanted to find out. 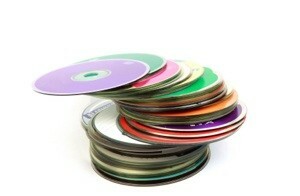 There have been stories of college kids being prosecuted for illegal music and movie downloads. Try not to "borrow" from your friends and family either, it is just as dubious. You wouldn't steal from a store, would you? Try visiting your local library. When your Internet Provider has IE. McAfee already that checks incoming emails, I prefer using the FREE software download, such as Grisoft AVG, Lavasoft AdAware, Avast, etc. as my back up anti-virus. I have never been disappointed. Buying backup anti-virus and anti-spyware can get expensive, especially if you have three computers. FREE AVG 8 also comes with ant-spyware included. I think Norton AV you can only install it on one computer, for multiple computers you can pay extra for it, though it's expensive! Always use open source software! You can find everything you need at http://www.osalt.com/. Do you have any ideas to share? Feel free to post them below. I go to Downloads.com they have a large variety of software and its free. Opera browser is free, and the most secure browser out there. Where freeware is concerned, make SURE there's no adware or spyware attached to it. Before downloading, search Google to see if anybody's complaining about the program you want to download. That said, I rarely, rarely pay for software. I have nearly 200 programs on my PC, and I'd say at least 175 of those cost me nothing.